I’m betting that Thom Tillis loves the new ad that a Democrat SuperPAC will be running in NC over the next two weeks. The ad praises Senator Hagan and says that Tillis is beholden to the insurance companies. Yawn. The ad itself isn’t that great, though it might help Hagan recover from the onslaught of attacks she’s faced over the past month. (A positive ad, no matter how weak, will always boost a candidate, even if it’s very slight.) And it could help her draw a contrast with Tillis. So why does Team Tillis like the ad so much? Here’s why. GOP voters in NC hate Hagan. (This is a change from a few months ago, when they were merely slightly down on her, or even ambivalent). They want her gone. 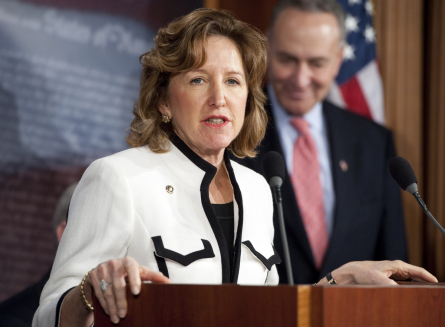 And here’s this new ad from the Democrats, giving Kay Hagan an assist while taking a shot at Tillis. For most voters, the ad will have its desired effect: they’ll like Hagan a little more and Tillis a little less. But the larger effect will be an increase in Tillis’s support among Republican primary voters.